We'll answer your Medicare questions today, with no-obligation. Start the process by entering your zip code. Licensed agents standing by. Get a Free Medicare Quote! What is ‘Dual Eligible’ for Medicare and Medicaid? What is Original Medicare Part B? 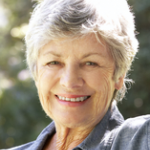 Medicare and Cataracts Explained: Are You Covered? Does Medicare Include Vision Benefits? Does Medicare Include Dental Benefits? Medicare is a government-sponsored healthcare program for seniors who are 65 years and older as well as some other people with disabilities or special circumstances. Medicare provides a defined benefit to its enrollees and, while it is a relatively generous benefit, there are certain “coverage gaps” that exist. This gap is why some people who are enrolled in Medicare may find it financially beneficial to also seek coverage in the form of a private Medicare Supplement, Medicare Advantage (MA), or Medicare Prescription Drug Plan (PDP). It’s important to understand that there are four parts of Medicare coverage for qualified individuals. Understanding the benefits and limitations of each part will help you decide if additional coverage is right for you. Medicare Part A covers hospital stays, skilled nursing facility care and some follow-up costs. It also covers home health services and hospice care as long as certain conditions are met. You currently get Social Security benefits or you are eligible to receive Social Security benefits. You must have 40 credits that you have accumulated through payroll tax deductions. As long as you meet minimum income requirements, you will earn one credit for each quarter you worked, which equates out to paying into the system for 10 years. If you do not have enough credits, you can still qualify for Part A coverage by paying a monthly premium. You currently receive railroad retirement benefits or you are eligible to receive them. Your spouse currently gets Social Security benefits or is eligible to receive Social Security benefits and/or railroad retirement benefits. This applies to spouses who are living, deceased or divorced from a person who is seeking Part A benefit coverage. You or your spouse held government jobs that paid Medicare taxes. You are a dependent parent with a child who is deceased but was fully insured. You are entitled to receive or you have received Social Security disability benefits for at least 24 months. You are getting railroad retirement disability benefits and you meet certain conditions. You suffer from amyotrophic lateral sclerosis (Lou Gehrig’s disease) and you currently receive Social Security disability benefits. You worked for the government and paid Medicare taxes for a long enough period, and you have received or are entitled to Social Security disability benefits for at least 24 months. This also extends to those who are children or are a widow(er) who is at least 50 years old of the person who is eligible for coverage. You have end stage renal disease, receive kidney dialysis or have had a kidney transplant, as well as meeting other requirements. Costs. If you qualify, costs for Part A coverage are free. The only exception is that there are some deductibles for hospital stays. You have enrolled in, or are in the process of enrolling in Medicare Part B coverage. You meet citizenship and residency requirements. Your premium costs will depend on how long you have worked and how close you are to meeting the requirement of having 40 Social Security credits. In most cases, those who enroll and pay for Medicare Part A must also enroll in and pay a separate premium for Medicare Part B.
Enrollment. People are automatically enrolled in Medicare Part A and Part B if they are already receiving benefits from Social Security or the Railroad Retirement Board. Enrollment takes place on the first day of the month a person turns 65 years old. If a person is under 65, they are also automatically enrolled after 24 months of disability payments from Social Security or from some disability payments from the Railroad Retirement Board. For those who suffer from ALS (Lou Gehrig’s disease), automatic benefits also kick in when Social Security disability benefits start. You are not automatically enrolled and you must take steps to sign up if you are within three months of turning 65 but not receiving any Social Security or Railroad Retirement Board benefits. If you have end-stage renal disease, you must also pro-actively take steps to sign up for Medicare. There is an initial enrollment period is seven months, starting three months before a person turns 65, the month of their birthday, and extending to four months after they turn 65. It is very important to enroll during this window, or you may face late enrollment penalties or have a gap in your Medicare coverage. If you don’t sign up during the initial period, there is a general enrollment period each year between January 1 and March 31. When you sign up during this period, your Medicare coverage begins on July 1. You only need to sign up for Medicare one time. Once you are enrolled, your benefit coverage is permanent. Anyone who qualifies for free Medicare Part A is eligible for Part B if they enroll and pay a monthly premium. If you don’t qualify for free Medicare Part A, you can still get Medicare Part B if you are 65 years or older and you are a United States citizen or a permanent resident who has lived in the U.S. for five years prior to the month you apply for Part B. Costs. The monthly premium for Part B is $104.90 for 2016. There is also an annual Part B deductible of $166 for 2016. High earning taxpayers may be subject to higher costs. After your deductible, Medicare Part B covers 80% of the cost and you pay the remaining 20% (often referred to as coinsurance). If you don’t sign up for Part B when you first become eligible, you might have to pay a late enrollment penalty. This enrollment penalty will stay in effect for as long as you have Part B coverage. Enrollment. People are automatically enrolled in Medicare Part B if they are already receiving benefits from Social Security or the Railroad Retirement Board. Enrollment takes place on the first day of the month a person turns 65 years old. If a person is under 65, they are also automatically enrolled after 24 months of disability payments from Social Security or from some disability payments from the Railroad Retirement Board. For those who suffer from ALS (Lou Gehrig’s disease), automatic benefits also kick in when Social Security disability benefits start. Just as it is with Part A coverage, for Part B there is an initial enrollment period is seven months, starting three months before a person turns 65, the month of their birthday, and extending to four months after they turn 65. It is very important to enroll during this window, or you may face late enrollment penalties or have a gap in your Medicare coverage. If you don’t sign up during the initial period, there is a general enrollment period each year between January 1 and March 31. When you sign up during this period, your Medicare coverage begins on July 1. Medicare Part C, or Medicare Advantage, is an optional plan administered by a private company that provides Part A and Part B coverage plus additional benefits. You are still in Medicare, but the terms and conditions are different. Think of it as similar to traditional private health insurance a person might obtain from an employer. Part C plans will offer added benefits such as vision, dental hearing and prescription drug plans over and above what Part A and Part B will offer. Most Medicare Advantage plans will also offer prescription drug services as well. This coverage comes in a variety of different types including HMOs, PPOs, PFFSs, and Special Needs Plans. By law, Medicare Advantage plans must provide at least the same level of coverage as Original Medicare but may do so with differing costs and restrictions. To be eligible to enroll in a Medicare Advantage Plan, you must first be enrolled in Medicare Part A and Part B. Even after you enroll in a Part C plan, you must continue paying your Part B premium. Also, in most cases, those with end-stage renal disease can’t join a Medicare Advantage Plan, though there are certain exceptions. Costs. Costs will vary by provider because each Medicare Advantage plan establishes how much they will charge for premiums, deductibles, co-payments and what services they will cover. Due to some flexibility in each plan, some beneficiaries may pay more per month for a smaller deductible for services or for cheaper copayments for doctor visits. By agreement with Medicare, plan costs may only change once a year beginning on January 1. Also, Medicare Advantage Plans also have out-of-pocket maximums for each year. Original Medicare does not. After that maximum amount is reached, there are no charges for covered services. Enrollment. There are some circumstances that will qualify a person to enroll in Medicare Advantage plans during a Special Election Period, but you can only change plans once a year during the Annual Election period that takes place from October 15 to December 7 each year. If you are in a Medicare Advantage Plan and you want to switch back to Part A and Part B coverage only, you can do so between January 1 and February 14. It is important to note that you cannot switch to another Medicare Advantage Plan during this period, only back to Original Medicare. Medicare Part D, or Medicare Prescription Drug Plans, are designed to cover prescription drugs for Medicare beneficiaries. Any individual who is eligible for Medicare Part A or Part B may purchase a Part D plan, regardless of income or health status. Part D plans are offered by private insurers and their benefit levels and costs vary widely amongst different carriers and companies. Most of the time, if a person enrolls in a Medicare Advantage Plan (Part C), drug coverage will be included as part of the policy. Medicare Part D is only available through an insurance company or other private company that has been approved by Medicare. It is also important to note that Part D plans vary by cost, the drugs that are covered, whether or not you need prior authorization and what quantity of drugs you can purchase at any one time. You may also be limited to buying certain less expensive generic drugs than those prescribed by your doctor. Costs. Monthly premiums can vary widely depending on the coverage a person selects. It’s best to shop around before deciding which Part D plan to enroll in. Cost variables can include what the yearly deductible is, what copayments are required, the cost for catastrophic coverage, and what the coverage gap is. Enrollment. You can enroll in a Part D plan during your initial enrollment period, during the open enrollment period between October 15 and December 7, or at any time if you qualify for the Medicare Extra Help Program, which helps low income and limited resource people pay for Part D expenses. Medicare Supplements are insurance products provided by insurance companies to cover the “gaps” in Original Medicare (hence the name “Medigap”). Recall that Medicare Part B covers 80% of costs beyond the Part B deductible, leaving the Medicare beneficiary responsible for 20%. Those with certain Medicare Supplement plans would have the cost sharing covered completely–a significant benefit in many situations. Medigap can pay for services not covered by Part A and Part B, including deductibles, coinsurance, and copayments. Medigap policies may offer coverage for services that are not provided by Original Medicare. For example, a Medigap policy may provide coverage if you become sick while traveling internationally. You must pay a monthly premium for Medigap coverage and it is only available if you are currently enrolled in Part A and Part B coverage. We are an independent agency that places service first and we take great pride in being available to support the public in making wise financial decisions regarding their Medicare coverage options. Regardless of whether you decide to work with us or not, we will happily answer any questions you have regarding Medicare. We invite you to contact us so that we can put you in touch with one of our independent Medicare specialists, allowing you to make the best possible decision regarding your Medicare options. Most individuals begin getting bombarded with Medicare offers about six months prior to their 65th birthday. This is when Medicare eligibility information goes into overdrive. To reach us, please fill out the form to the right or call us directly at (888) 211-5685.